By shopping our online stores (Cafepress and Zazzle), you not only support City Dogs Rescue but help promote the rescue and raise awareness about saving shelter dogs. All proceeds go to City Dogs Rescue. 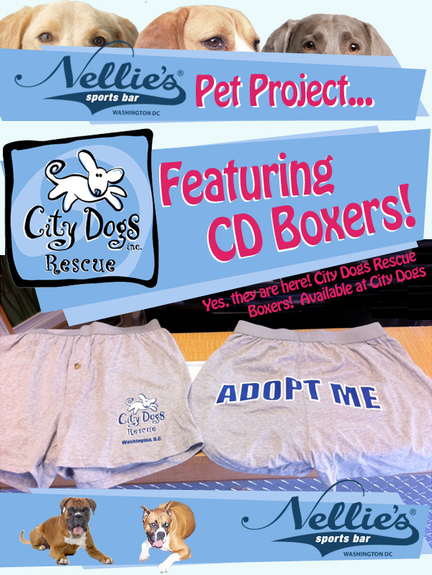 City Dogs Rescue has a Zazzle store for additional CDR gear not available at our Cafepress store. The first product is a plaque that comes in 3 sizes. The UV resistant plaque professionally displays a digital photo (imposed upon a hardboard panel) of your pet in a City Dog Rescue frame. It can be customized with your pet's name and adoption date. Prices range from $17.95 to $27.00, with profits benefiting CDR. There is also a mousepad with a similar design. 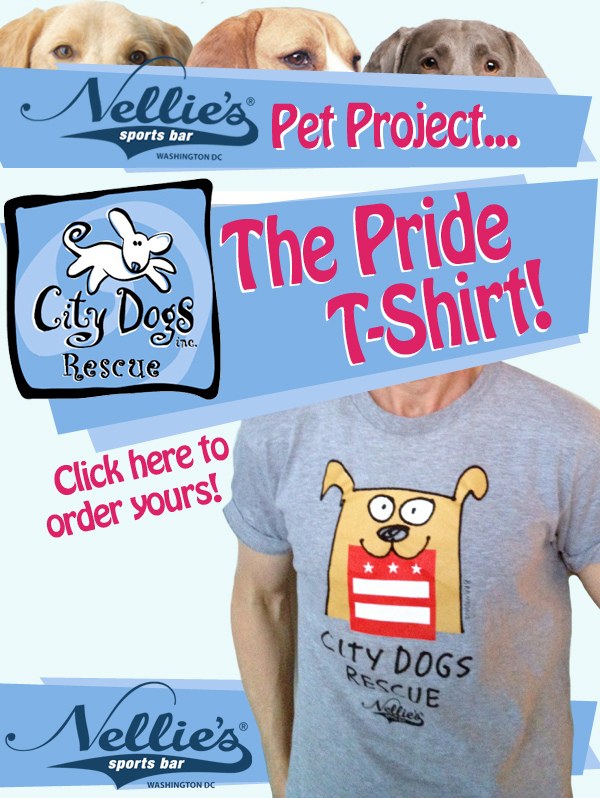 All proceeds from purchases go directly to City Dogs Rescue. "Adopt Me" boxers or "Adopt Me" women's Soffe shorts are $22 and can be purchased at any City Dogs Rescue event. Additionally, we have short-sleeve t-shirts and hats available at most events. If you would like to purchase merchandise but are unable to come to an event, please email Meredith.